Dan Shepard, the Rattlesnake Lawyer is having a mid-life crisis as he balances law and love. 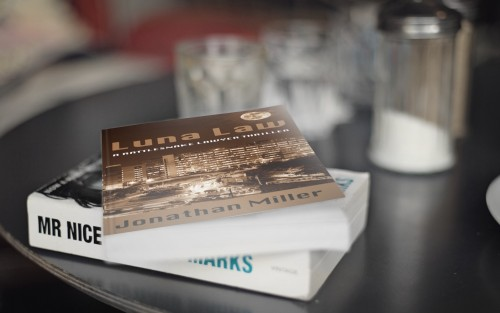 He is representing the driver for the Dragon Moon corporation, even as his wife’s firm, Luna Law, is trying to take them down. As Dan starts his legal journey in the Los Alamos courthouse, it’s obvious that his client has a secret that could threaten national security and the entire legal system. Dan and Luna have to work together to stop their client and save their family. But when Dragon Moon has Luna taken into custody on trumped up charges, will Dan take the law into his own hands?